Stark family. . Wallpaper and background images in the House Stark club tagged: game of thrones sansa stark robb stark catelyn stark eddard stark bran stark arya stark stark family house stark. 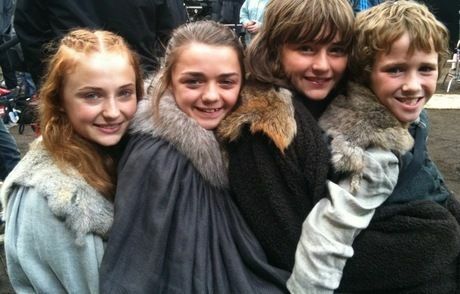 This House Stark photo contains 모피 코트, 모피 칼라, 모피 악센트, and 모피 액센트. There might also be 밍크, 밍크 코트, 밍 크, and 밍 크 코트.